Designed to be the nucleus of a synthesizer, the Double Helix Oscillator is a modular waveform generator like no other. 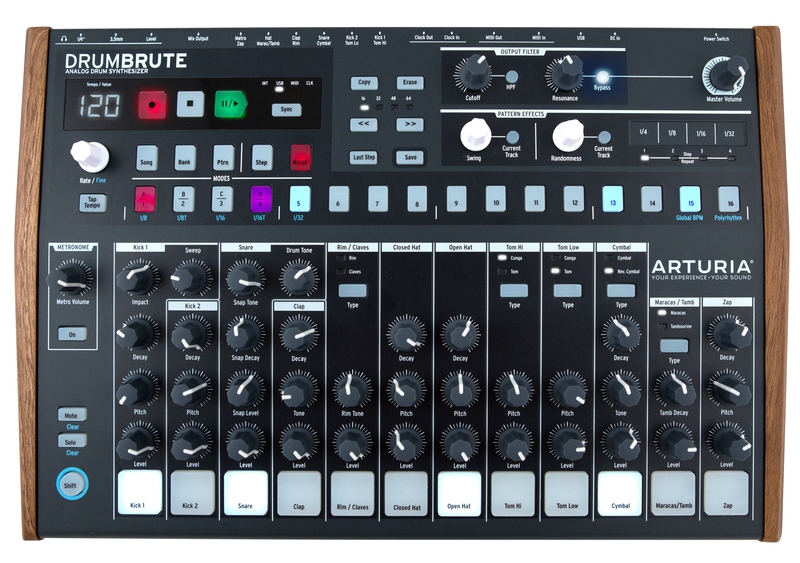 A set of beefy, analog oscillators paired with voltage controlled shape contouring, deep modulation and a performance-ready voltage controlled modulation matrix create a dynamic, analog waveform playground. At the core of the Double Helix are two, wide-range precision oscillators. The primary oscillator includes a full complement of waveforms and multiple modulation options. The secondary oscillator offers a more focused set of waves and frequency modulation. Both oscillators reach deep into LFO range and can be used as voltage-controlled modulation sources. The contour section of the Double Helix Oscillator features a highly tuned wavefolder paired with an exclusive dynamic impulse low pass gate. The contour signal chain starts with a two-channel mixer. This allows multiple waveforms or multiple oscillators to be combined before passing though the contour section. The first half of the contour section is a voltage-controlled, 6-stage wavefolder used to add odd harmonics to the incoming waveform. The timbre and timbre CV controls set the density and amplitude of the folds. When processing a sine wave, the wavefolder creates a spectral change from zero harmonics to square, with an infinite harmonic series. The second half of the contour section is a dynamic impulse low pass gate. The effect of the low pass gate is similar to pairing a low pass filter and VCA together. As the dynamics control is opened, the filter adds harmonics and the VCA increases the amplitude of the waveform. As the dynamics control is closed, the filter removes harmonics and the VCA decreases the amplitude of the waveform. This pairing mimics how sound behaves in the real world creating a more naturally tonal response. The impulse input adds the ability to strike or ping the low pass gate circuit creating a very organic, percussive sound. The decay time of the impulse input is set by the dynamics response control allowing the strike to be tuned to a specific musical context. The modulation section includes an LFO offering simultaneous sine, square, and random waveforms. A noise source is also available for audio or modulation use. A pair of voltage-controlled routers manage all the CV inputs creating a dual, voltage controlled modulation matrix perfect for complex signal paths, experimentation, and live performance. The matrix consists of two voltage-controlled amplifiers designed to control the modulation amount inputs that can be routed to any of the Double Helix CV inputs. Each of the CV inputs can be switched to channel a, bypass, or channel b and mixed with a dedicated CV input. The Return of another SynthSummitShow episode is now here. Here we talk with Rick Burnett of Erogenous Tones. 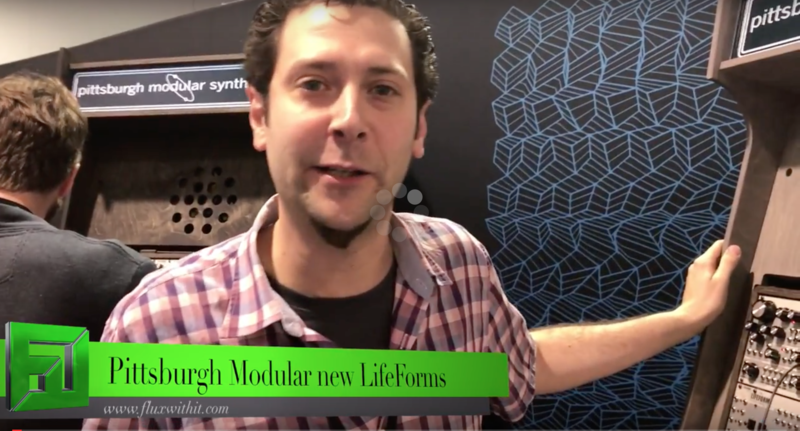 Discussing his current line up of Eurorack Modular modules as well as his upcoming products as well. This live stream is chock full of great info so sit back and listen to the banter. This is a two part Live stream where I build the Synthrotek MST Dual Envelope kit. This kit is available from Synthrotek’s Store. You can grab this in kit form as seen here or as a completed module. The Stream is completely live and I take questions and discuss not just the process of building the module but we talk synths in general. so sit back, and enjoy. The Audio Damage Kompressor is a digital true stereo compressor that can also work as a Mono with side chain input compressor. occupying only 6 hp, this compressor packs a big punch for its small size. RATIO is a scaled control. The first half of the rotation goes from 1:1 to 1:10, and from 12 o’clock to fully clockwise, it goes from 1:10 to 1:1000 (infinite). Gain can give you up to 30+db of additional gain along with a soft internal saturation emulating an analog circuit. The Build quality feels very solid and the compression is really quite well controlled. 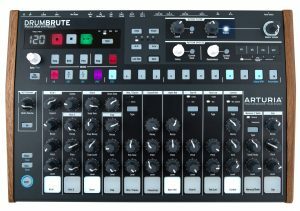 I’ve been using it both as an final mix compressor and as a drum squashing beast as well. Checking out the Arturia Minilab MK2 with this unboxing. I give my Live honest first impressions of the new portable controller from Arturia. I look at the capacitive touch pads as well as the overall build quality of the unit. What the hell is Knobcon? 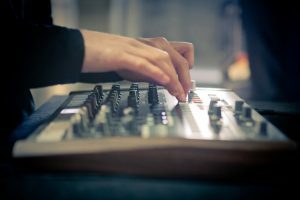 Knobcon is an annual event now in its fifth year dedicated to synthesizers. A heavily modular skewed show, this inherently means there will be cat pictures shared and discussed. I will not be covering any pets during this show. I will however be covering all that is synthesizers and the people who make them. Live from the convention floor I will be checking out all the latest gear from the top synth manufacturers around. Each year Knobcon seems to grow exponentially. This year looks to be no different as it will be over 72 companies displaying through 2 and a half days. Boutique manufacturers tend to have the run of the lot but this year we are expecting to see some larger name brands in attendance as well. Every thing from Eurorack Modular synths to guitar effect pedals to full sized keyboard synthesizers will be on show. So what is Fluxwithit doing at knobcon aside from just gawking at synthesizers? Well I will be in attendance live streaming much of the event as well as speaking to the convention goers in a number of capacities. In addition to the on the floor antics I will be apart of a live broadcast of the BeatPPL podcast direct from the convention on Saturday, as well as a very special SynthSummitShow on Sunday from 4-5pm (chicagoland timezone so get your mind right people that means 3-4pm eastern). In addition to these shows and coverage of knobcon I will be giving out coupon codes to the New Fluxwithit.com shop! so make sure you are on point and click the link above for the shop!